Many of you have written or called in to ask about recovery efforts for single mothers in Louisiana after the Great Flood of 2016 ravaged the Greater Baton Rouge Area, where The Life of a Single Mom headquarters, the week of August 13. Thank you! 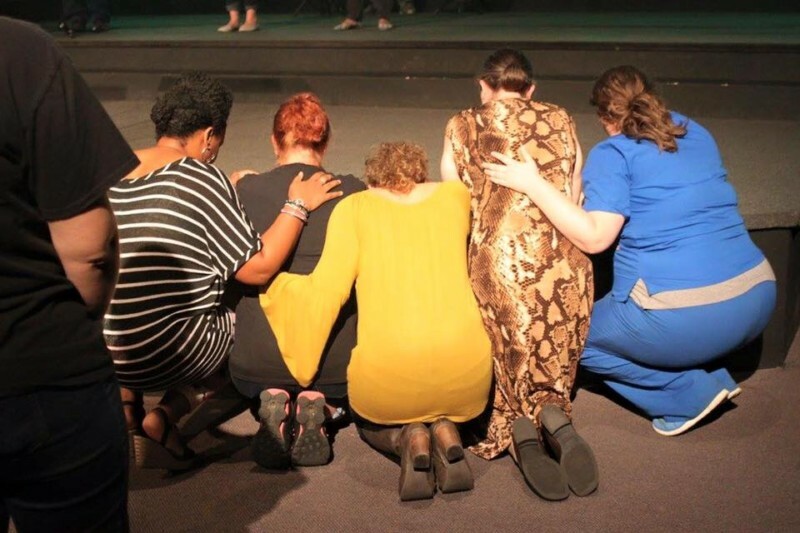 Thank you to each one of you who have prayed, expressed concerned, called, or given financially to ensure that The Life of a Single Mom Ministries is on the front lines of seeing single mothers encouraged during this difficult time. The day-to-day operations for our organization have shifted over the last several weeks as we look for ways to effectively serve the single mothers in this community. We have become a day-shelter for single mothers, so they can access phone and computer services, get a warm meal, have a cup of coffee, receive toiletries, and receive a list of referrals for additional assistance in our city. Distribution has included paper products, diapers, food, feminine products, and much more. Thank you to our national audience for collectively joining in to bless these flood victims! Watch the WBRZ News Story here. om Drive-Thru that we’ve ever done! And because of the giving of many of our supporters, we will be blessings the socks off single mothers. They will receive cases of water, fresh fruit & vegetables, canned goods, coupons, prayer, encouragement CDs, hot sausage & biscuits, baby items, purses filled with blessings, and much more. We stand with these mothers and it is our greatest honor to ensure that no single mom walks alone! The Life of a Single Mom is a national, nonprofit organization that exists to see that no single mom walks alone. We have worked with more than 1500 churches around the world to establish a single mom’s ministry or outreach program. Our network of single mothers is more than 50,000 strong. For more information, visit www.thelifeofasinglemom.com.